Extreme obesity hampers day to day functioning and negatively impacts one’s health. The amount of weight to lose is so high that even with the right diet and exercise, there are no significant results. Bariatric surgery can help in such cases. Also known as weight loss surgery, bariatric surgery is also performed in case of moderately obese individuals who are suffering from co-morbidities related to obesity. However, the cost of this surgery can be very high in the United States and Canada. With much lower costs and highly experienced doctors, bariatric surgery in Mexico is being sought by many from the north of the border. There are quite a few places for bariatric surgery near the Mexico border like Tijuana, Ciudad Juarez, and Mexicali. These places offer weight loss surgery at a much affordable rate. 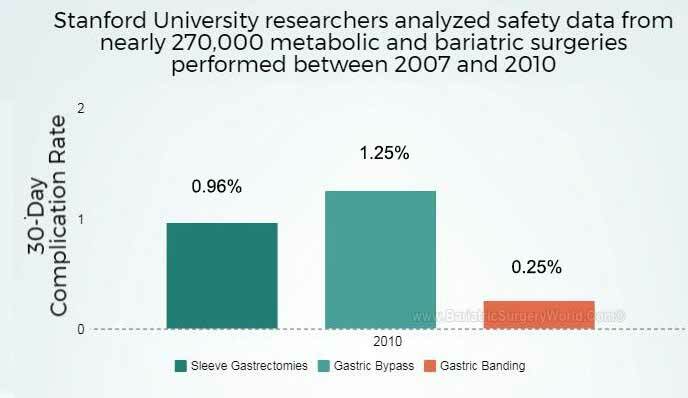 Bariatric surgical procedure aims to cause weight loss by drastically reducing the amount of one’s food intake, by causing malabsorption of the nutrients, or by combining the two. 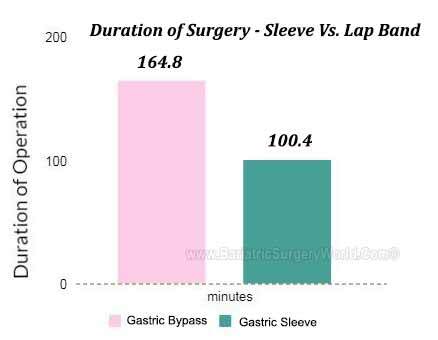 Some bariatric surgeries, such as the gastric sleeve and lap band, can be restrictive in nature, which limits the amount of food that can be consumed. Every surgery poses its own set of advantages and disadvantages, which are explained below. VSG or Vertical Sleeve Gastrectomy is also referred to as Gastric Sleeve. In this procedure, 80% of the stomach is removed and the remaining portion of the stomach looks similar to the shape of a banana. The size of the stomach is reduced by using a stapling device via keyhole/laparoscopic surgery. The new pouch thus created can hold a considerably smaller amount of food. This results in the consumption of fewer calories and leads to weight loss. This surgery also impacts the gut hormones that cause hunger and satiety. This procedure restricts the quantity of food that the stomach can hold at a time. This surgery does not require leaving any foreign objects inside the body. There is also no re-routing of the food stream. The hospital stay is usually not more than 2 days. This procedure cannot be reversed. It also shows a higher rate of early complication when compared to Adjustable Gastric Banding. Bariatric surgery is a proven way for losing excessive weight1. A Stanford study has found that when the laparoscopic surgeries are carried out for the purpose of weight loss, the complication rates are reduced2. At first, a smaller stomach pouch is created with the removal of a portion of the stomach. Following this step, a big part of the small intestine is bypassed. A smaller stomach is created and its outlet is connected to the last portion of the small intestine. This way, when the patient consumes food, it goes through the small stomach pouch and proceeds directly to the last portion of the small intestine. This procedure can be carried out in two ways. Open Surgery, which involves the surgeon making a large cut to open the belly. Laparoscopically, in which a tiny camera is used to carry out the surgery. The camera is positioned inside the belly. In this procedure, 4 or 5 small cuts are made and special instruments and a camera are inserted into the body through these cuts. There is a drastic loss in the weight of the patient and many continue to lose weight for the next 18-24 months following the surgery. Co-morbidities like diabetes, sleep apnea and high blood pressure witness an improvement1. There is a noticeable reduction in the absorption of fat, by over 70%. This procedure involved a permanent change in one’s diet and lifestyle. If not taken care of properly, there is a chance of becoming malnourished. Mineral and vitamin supplements need to be consumed. Experiencing dumping syndrome is pretty common when the patient eats food which is high in sugar content. This results in experiencing nausea, vomiting or diarrhea. It is often referred to as the band. A small pouch is created above the area where the band has been placed to reduce one’s food intake. This results in weight loss. A band is inserted around a portion of the stomach to create a smaller stomach pouch. This means that one feels full without consuming their usual quantity of food. Sterile saline is used to adjust the opening of the stomach. It fills the band to change its size. There is a significant reduction in the amount of the food intake. This procedure leads to excess weight loss. There is no cutting of the stomach and the intestines are also not re-routed. 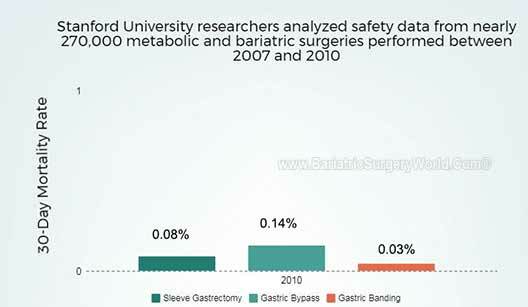 The hospital stay is shorter than the other bariatric surgeries. LAGB has the lowest amount of early complication rate. It also displays the lowest mortality rate1. Since there is no malabsorption and the food is processed normally, this surgery has the lowest risk for nutrient deficiencies. There are a high percentage of patients who fail to lose a minimum of 50% of their excess body weight. This surgery needs an alien device to stay inside the body. The band that has been inserted in the body can slip or cause band erosion into the stomach. The band can also face mechanical problems. 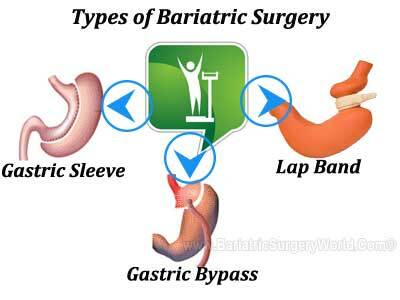 This procedure has the maximum re-operation rate, compared to other bariatric procedures. A nutrition and lifestyle program is provided by a US-registered dietitian. We provide complete destination support. The package includes a free hotel stay. The staff is fluent in English and Spanish. A very dedicated destination manager is provided to help you. Free ground transfers/pick-ups are also given. A valid passport is a must. Even though US and Canadian citizens don’t require a Visa for a stay of upto 180 days, carrying a passport is a must. A passport card is accepted only while travelling to Mexico via land or sea. Children also need to have a valid passport. If you don’t have a passport, it takes around 4-6 week. On an additional payment of $60, the process speeds up and then it takes approximately 2-3 weeks. A visitor’s permit or Forma Migratoria Multiple (FMM) is required. This is handed out by the air crews on international flights and is also available at Mexican airports. While flying to Mexico, the cost of the FMM is included in the total airfare. When entering Mexico by road, before crossing the 21 mile ‘free zone’, you need to complete the FMM permit at the time you cross the entry port to Mexico and pay the fee. This form needs to be shows at the inland immigration checkpoint. If you are reaching Mexico via a cruise ship, you will be asked to complete the FMM before you disembark. It is important to save the small portion of the stamped FMM because that has to be shown to the authorities while you are on your way back. You can also show an Enhanced Driver’s License or a Trusted Traveler Program Card. What are the timings for crossing the Mexican borders? The border timings depend on the port of entry. Where some entry ports are open 24/7, there are some that close at midnight. The detailed border timings of all ports can be accessed here. For going to Tijuana, you need to cross the entry port at San Ysidro. Mexican auto insurance provides car insurance for the tourists who move around Mexico by driving their vehicle. This kind of policy for insurance was initiated because the US insurance policies were not recognized by the Mexican authorities in the case of an accident. Vehicles can be rented as well. Mexico Insurance Services Instant online insurance provides for auto, RV, motorbike or rental car for travelling in Mexico. 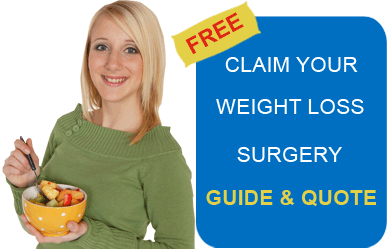 For a Free Quote and more information on weight loss surgery in Mexico border, please fill our contact form. US National Library of Medicine, National Institutes of Health, Journal of the Society of Laparoendoscopic Surgery http://www.ncbi.nlm.nih.gov/pmc/articles/PMC3662747/ Accessed 12 Aug. 2017.